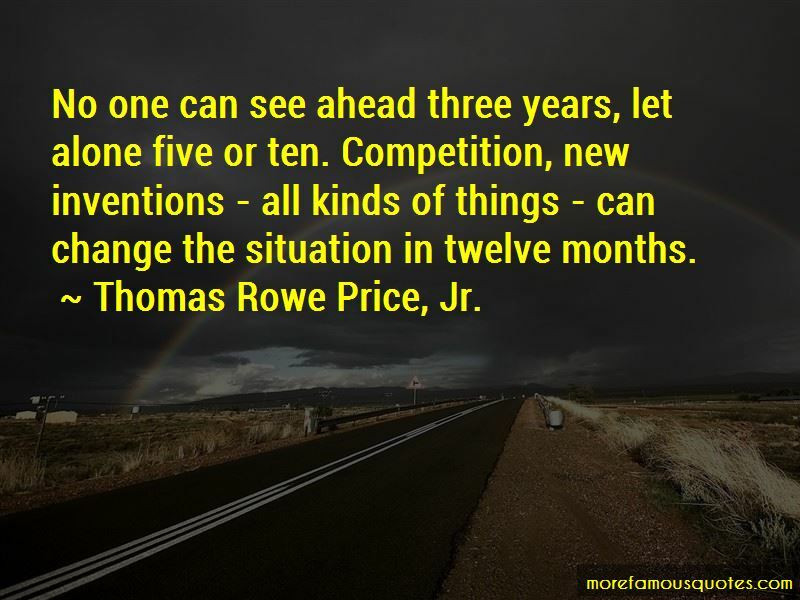 Thomas Rowe Price, Jr. quotes: top 6 famous quotes by Thomas Rowe Price, Jr. 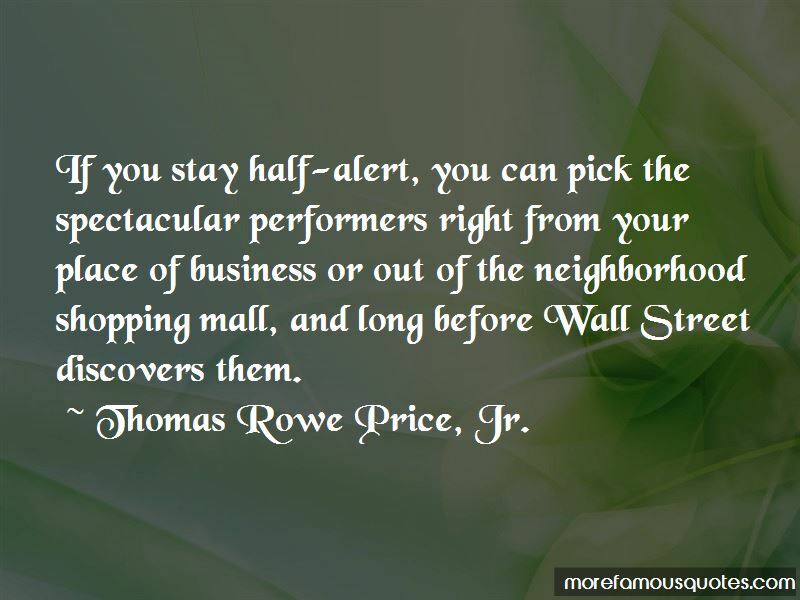 Enjoy the top 6 famous quotes, sayings and quotations by Thomas Rowe Price, Jr..
— Thomas Rowe Price, Jr. It is better to be early than too late in recognizing the passing of one era, the waning of old investment favorites and the advent of a new era affording new opportunities for the investor. 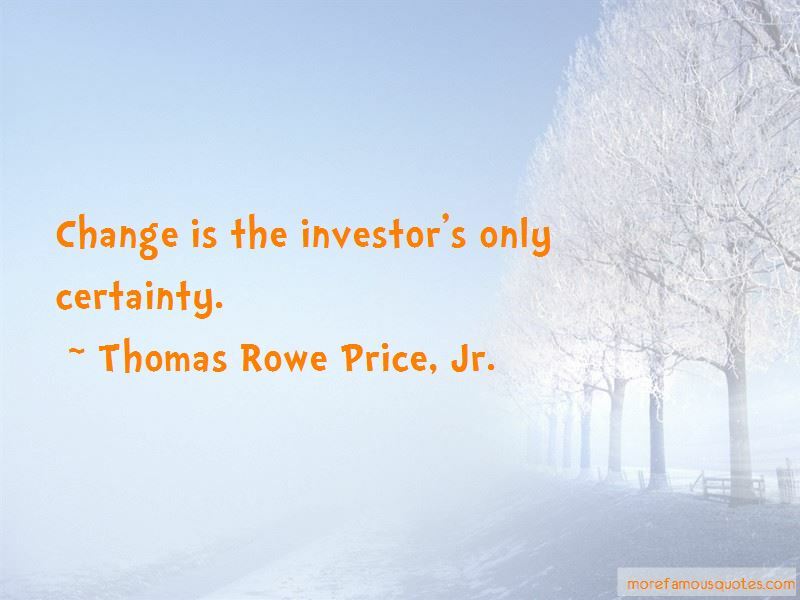 Want to see more pictures of Thomas Rowe Price, Jr. quotes? 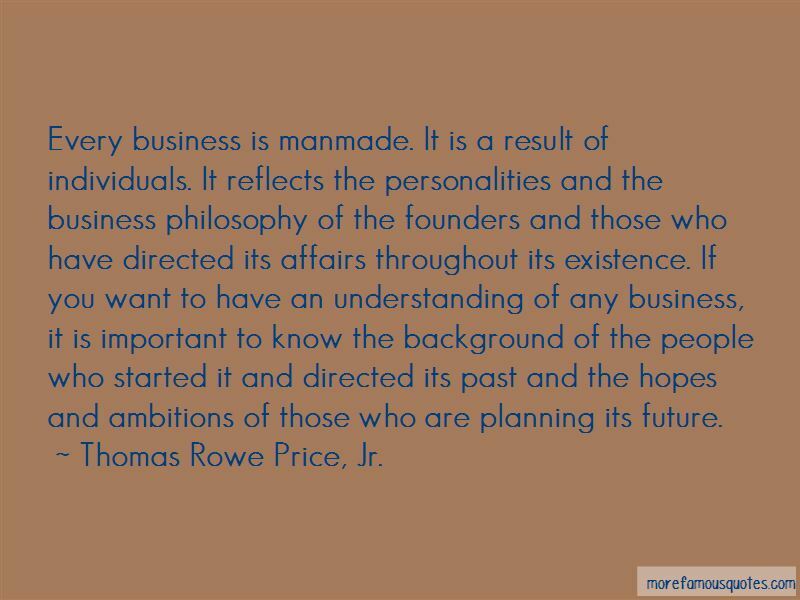 Click on image of Thomas Rowe Price, Jr. quotes to view full size.